For those of us who like to be outside all the time, ticks have become an awful nuisance, not to mention a health hazard. 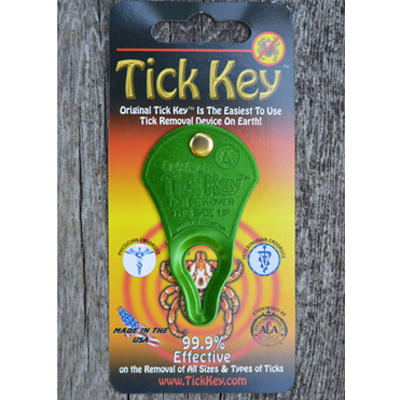 Use this "key" to easily and safely remove ticks from people or pets. Just put the opening over the tick that is embedded and slowly slide the Tick Key so the tick ends up in the smaller end and gently and firmly pull the tick out. Assorted colors-please let us choose.